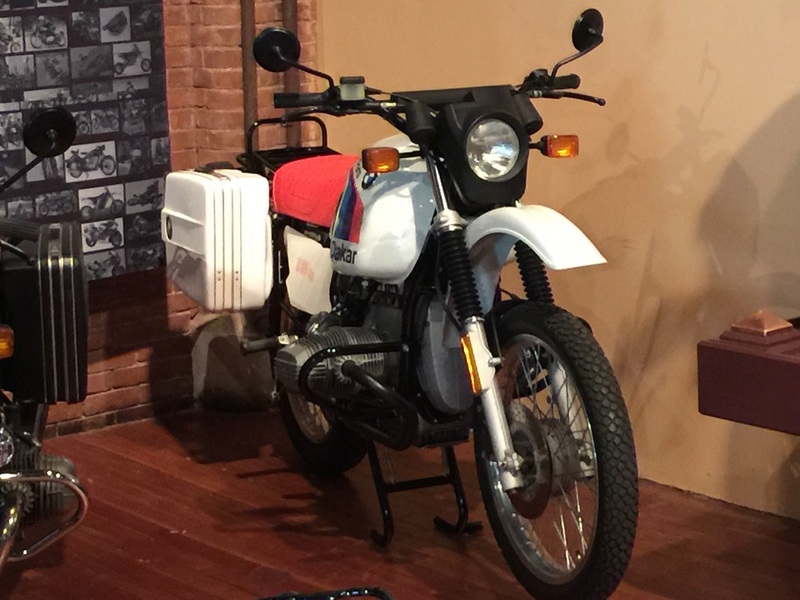 During a trip to New England, we got to see some nice motrcycles on the road and on display during a return visit to the Larz Anderson Museum. The grounds and building which house this museum are impressive even on approach. 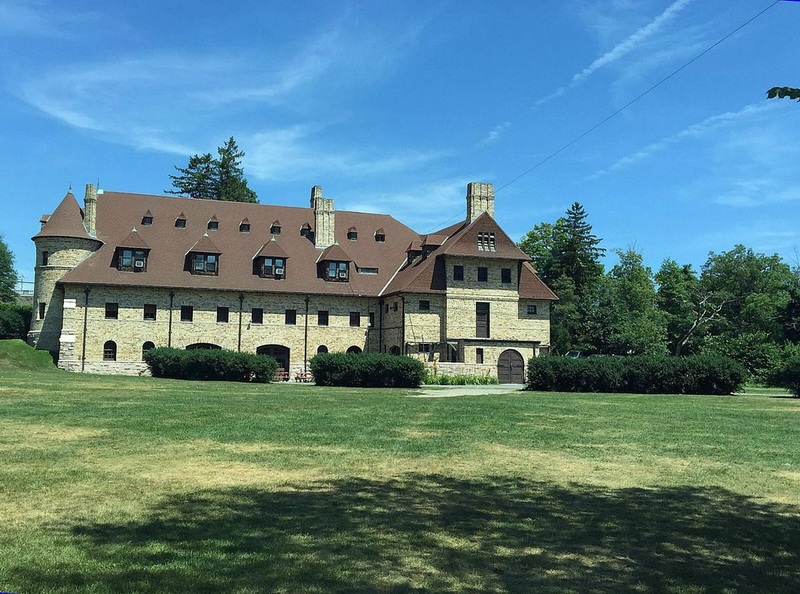 The estate from the turn of the 20th century still makes you feel like you are visiting the private collection of a wealthy enthusiast. And of course, you are. 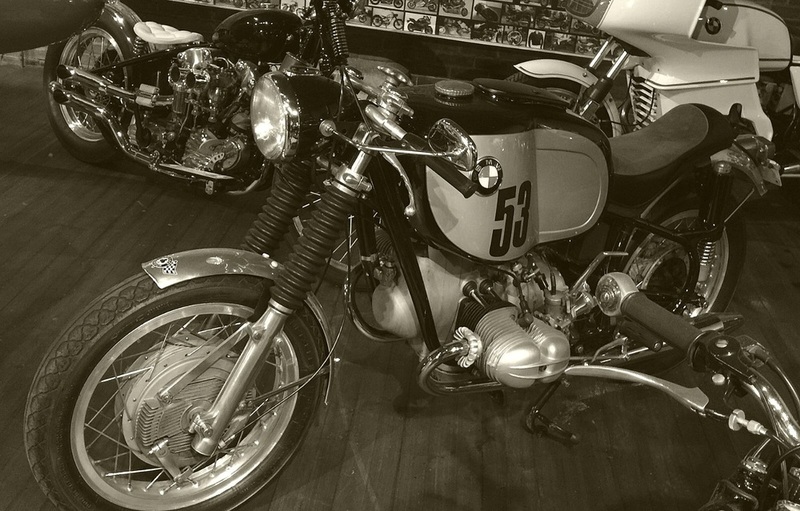 The museum caters to both 2 wheels and four. We have covered it here before (see Shouldn't We be Further Ahead by Now ? ), so on this occasion we chose to focus on some of the 2-wheeled German machines on display as part of their Beauty of the Beast exhibit. The earliest machine present was a 1924 R32 from only the 2nd year that BMW was in business. It reminds us all that there were impressive characteristics from the beginning. Top speed of 60 mph, 80 mpg, beautiful styling, were all there. The 1937 R17 brings Art Deco design to a highly functional machine and is considered one of the best looking motorcycles of all time. The 1954 Rennsport is the only racing machine included, but it marks a critical re-entry point for BMW into racing. With its massive front brakes and tank, it was built to compete with the Norton Manx. With only 24 produced, it is also unobtanium. Much more common, and currently in the CV garage is the R26. This single cylinder machine is usually overshadowed by the more popular R27 which succeeded it, but it is an elegant upright single that met the needs of the postwar market. The sixties were represented by the R69US. It is hard to understand today, but this was a 100+ mph sport bike. There were two icons from the seventies, the R90S which won the first AMA Superbike championship, and the R100RS which was the first production machine with an extensive fairing. The machines end in the 1980s with another icon, the Paris-Dakar winning R80G/S. 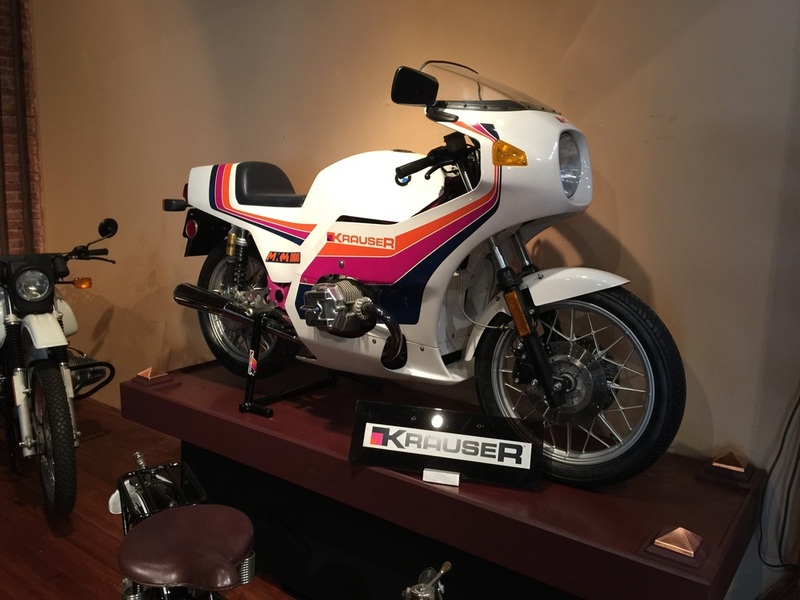 The 1982 Krauser was a kind of "Tuning House" special that improved the suspension, aerodynamics, and engine of the base BMW to great effect. Overall, a high quality sampling of the two-wheeled history of the blue and white propeller, and another visit to a great museum.